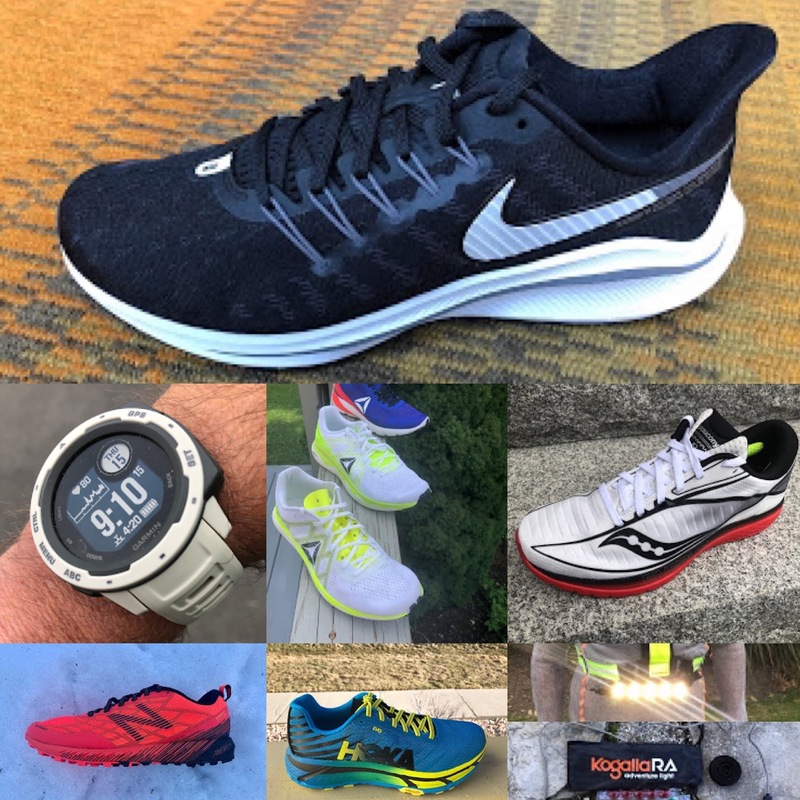 The Floatride Run ULTK is a $150 neutral shoe. 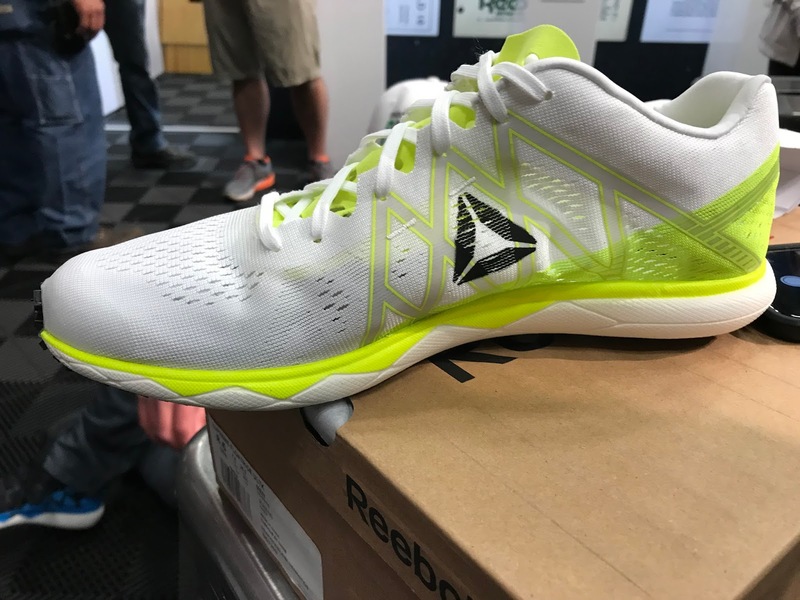 It weighs in at 8.8 oz/250 g for a men's size 8.5 in our sample, purchased from Reebok, with the listed weight 8.6 oz. It has a 26mm heel/18mm forefoot, 8mm drop. The Floatride Run has a sidewall of EVA for some support and stability. 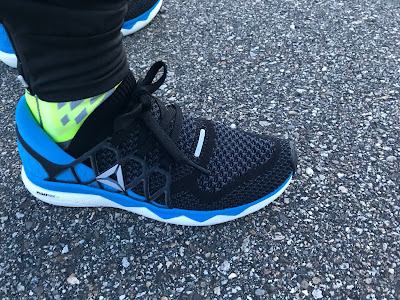 The shoe is fairly stiff with a distinct, snappy toe flex. 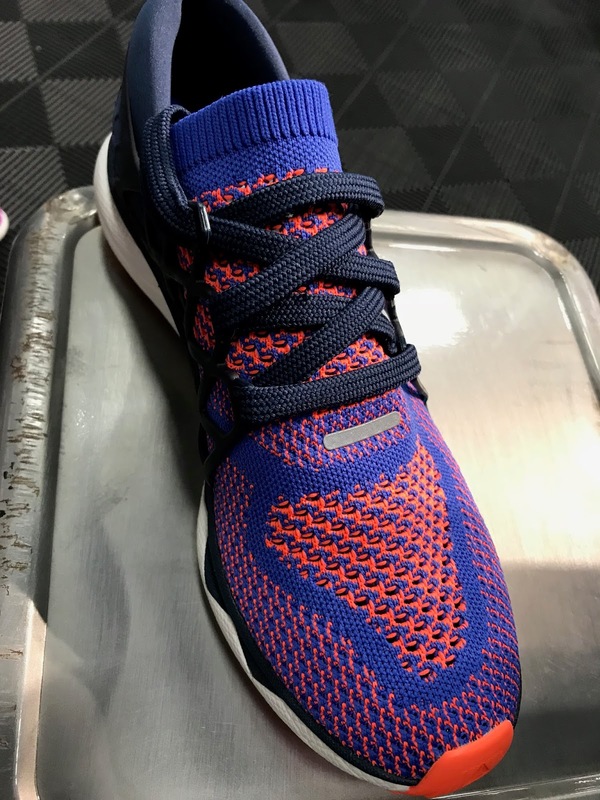 There's a stretch knit upper, all shoe, no tongue. Reebok seeks to keep the foot locked down through the use of a plastic cage that holds the mid and rear of the foot. 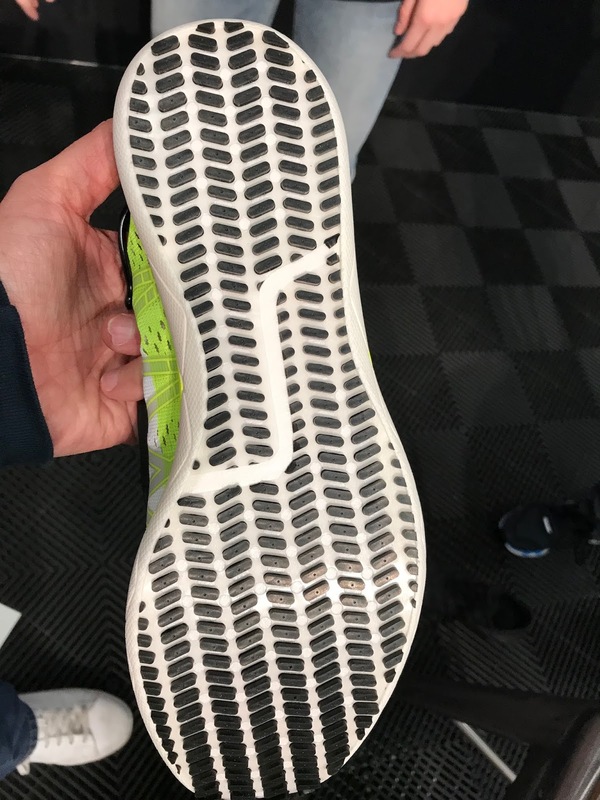 The outsole of the shoe is nearly full coverage rubber so it looks like it should wear just fine. Sam: I have run once in the Run. 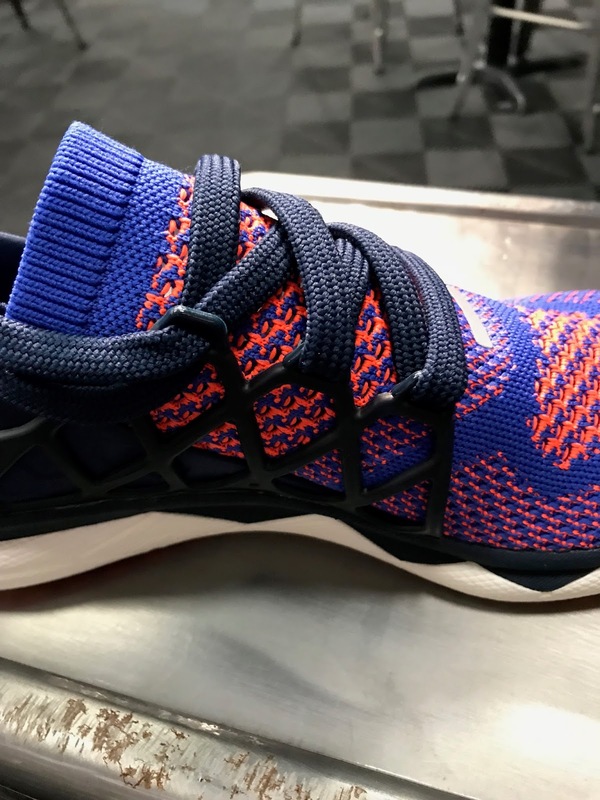 It has a substantial stretchy knit upper. It fit me true to size if, as all such stretch knit uppers do, somewhat snuggly but in no way overly constraining. The ride is a wonderful combination of firm response from the full outsole and shock free cushion from the Float Foam. The Float Foam provides a distinct rebound and energy return, all well controlled by the EVA rim layer and outsole, so this is a quite stable neutral runner. It is a more conventional running shoe than the VaporFly with a fairly stiff toe spring, whereas the VaporFly has none, and overall the Run is a somewhat firmer ride. 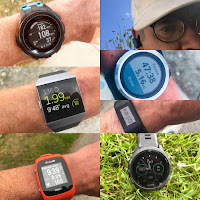 The Floatride Run Fast is a much lighter, snappier version of the FloatRide. It will be available June-July 2018. 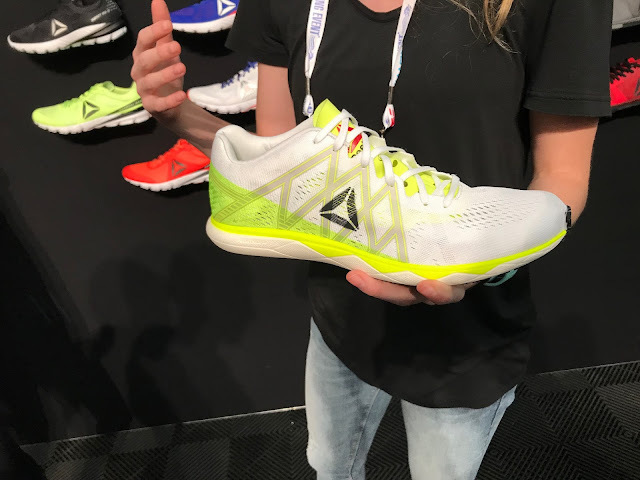 Fast is $140, has an 8mm drop is "ultra responsive and light weight" at 6.05 oz/ 172 g with a 25.5mm heel/17.5 mm forefoot, 8mm drop. It is meant for uptempo runs, racing and long runs alike. Float Foam is again the story here. It has an EVA sidewall. 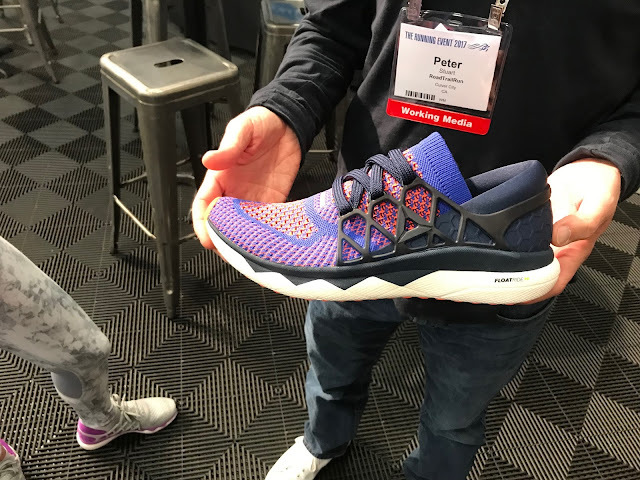 Gone is the cage you'll find on the Floatride Run, and the upper is made of engineered mesh rather than heavier knit and unlike in the Run the heel counter is much more minimal It's a more "typical" looking running shoe, but promises to have a different under-foot experience. The upper is seamless. 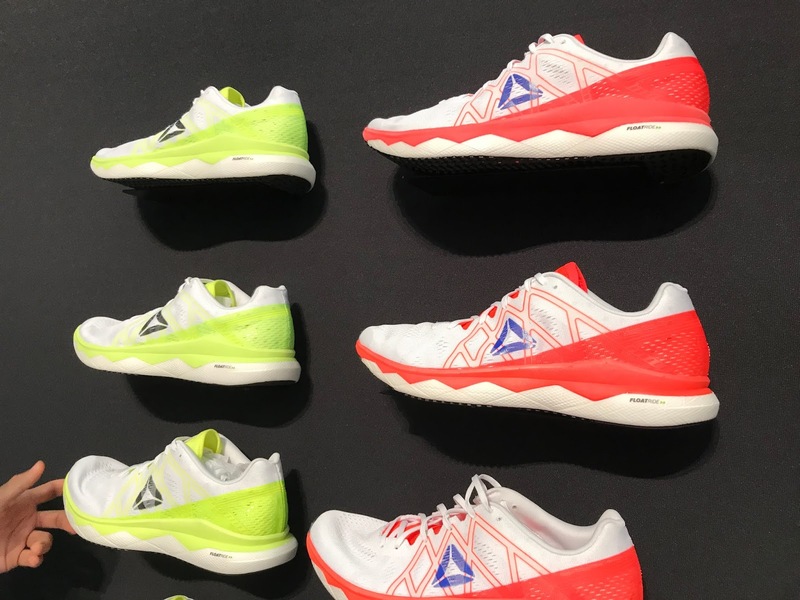 The Fast has a lighter rubber outsole than the Run and surprisingly a wider last, on the ground platform. The Floatride Run Fast Pro is perhaps the most exciting race shoe we saw at the Running Event. It will be available June-July 2018. 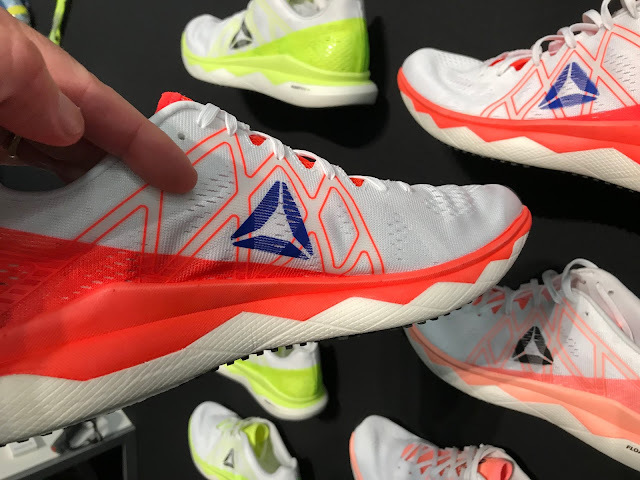 The Pro weighs an amazing 3 oz/99 g, has Float Foam, a 4mm drop (16.5 mm heel, 12.5 mm forefoot). 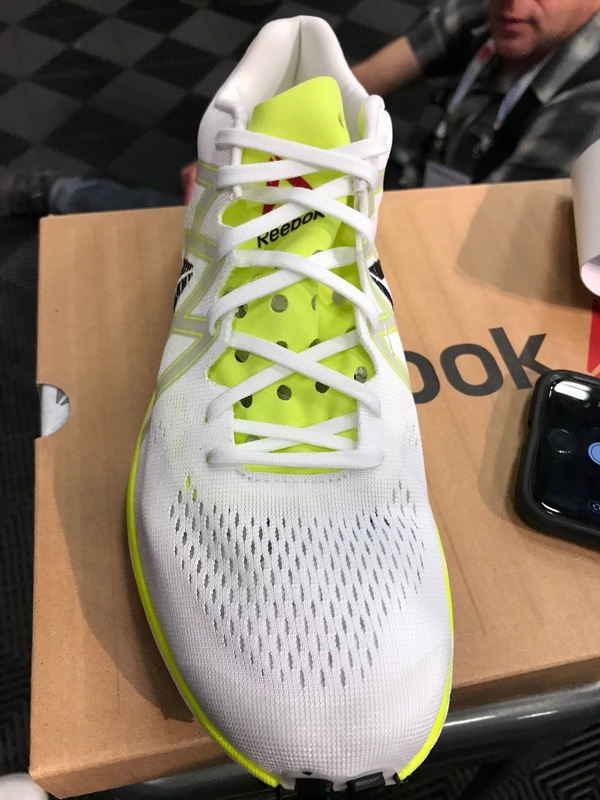 This is a race shoe for sure. 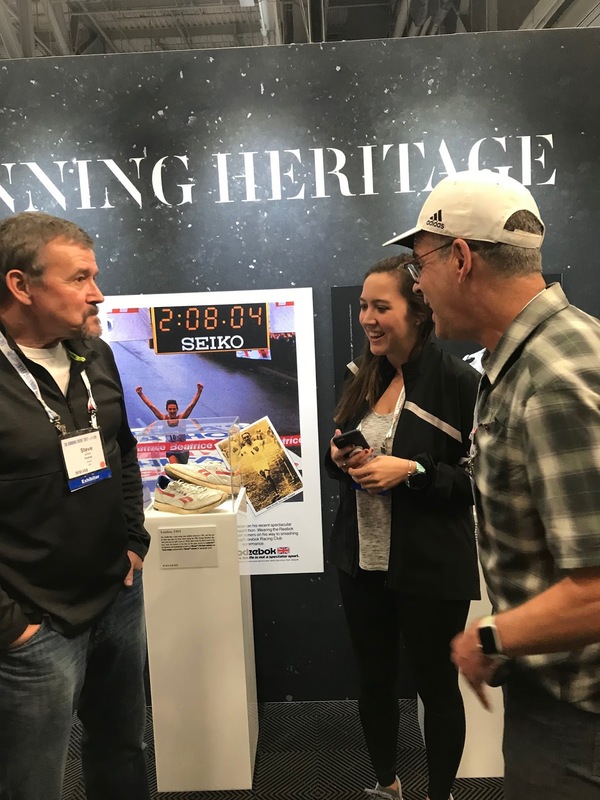 We haven't gotten to run in it yet, so I'm not sure whether it's a 5k racer or whether it can take longer distances like the 1/2 marathon, but it sure is light. 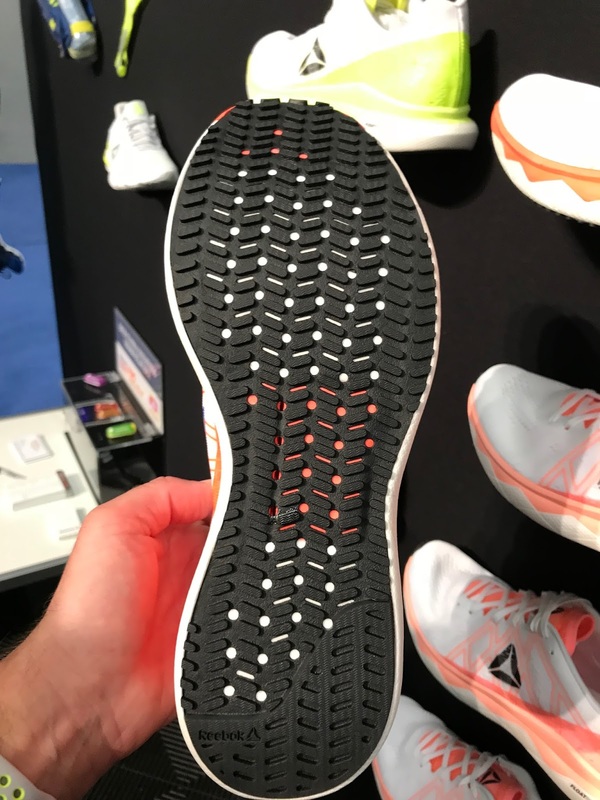 The upper is a single layer engineered mesh. 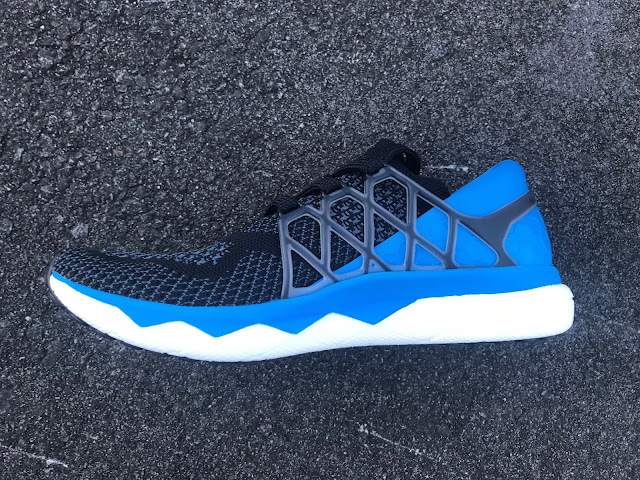 The midsole is ultra light TPE Float Foam with an EVA sock liner. There is no EVA rim as in the other 2 models. 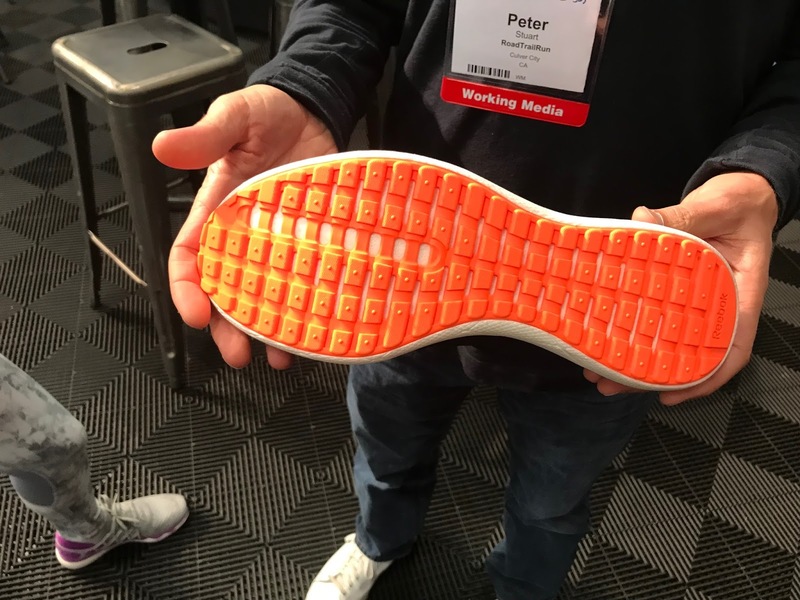 The High Traction Pad outsole is an engineered TPU sheet with little nubbins for grip. I can't imagine it will last long, and at $250 that may be an issue for some folks, but hey this is a pure race shoe. i guess the TPE is the same one that use in Crocs right? It is TPE but not sure it is the same formulation as in Crocs. I don't know much about TPE, yet, but see there are several ways to form it to foam from several companies and to different characteristics. I would agree with you that it is plusher than EVA but here the way the shoe is put together, EVA sidewalls and full outsole not as plush as Crocs.